The Galt Ccean Club Condominium sits directly on the ocean. This condominium is 20 stories tall and features a roof top swimming pool that provides for one of the most beautiful panoramic views in Fort Lauderdale. Along with the roof top pool many of the buildings ammenties including club rooms and the work out facilty are on the penthouse floor. The condominium units at the Galt Ocean Club feature floor to ceiling windows. The building was built in 1972 and features 207 units. You may notice large variations in pricing in the building and the usually can be explained with two reasons. The closer you are to the beach, and higher up you are the better the views. In addition there are both original and total renovated units that come to market. 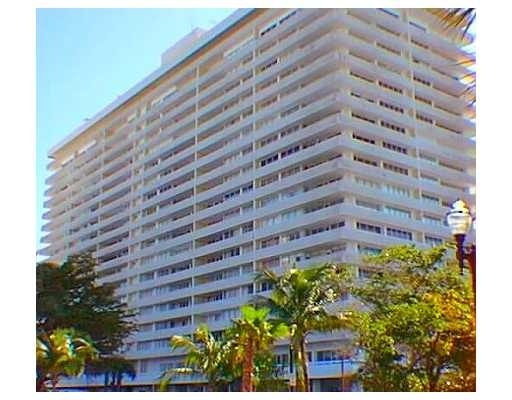 Just starting your hunt for a Fort Lauderdale Condominium, just to the south of the Galt Ocean Club is the Ocean Summit and just to the north is Ocean Manors which is being more like a hotel condominium which features oceanfront dining. A great neighbor to have when your visiting the Galt Ocean Mile. Eric Miller and Associates, has recently sold a condominium at the Ocean Club and are here to help with your next Ocean Club Condo purchase or sale. Contact us directly at (954) 383-8170.